No one can plan for a crisis. Put your health and family first. First and foremost, focus on getting better - whether it is your health or that of a family member who has suffered a serious injury. Listen to your doctor and follow the direction of medical professionals. Don't let worries about legal and insurance matters distract you from what is most important - healing mind, body and soul. As soon as practical, you will need an experienced and trusted legal professional to relieve you of such burdens as pressing phone calls and endless paperwork related to insurance matters and medical bills. Move quickly to designate this professional as your point person. Your attorney will get a head start gathering and reviewing critical, time-sensitive information - allowing you to better focus on recovery. Collect insurance policies. Your attorney will need to review all terms and conditions of your auto insurance, health insurance and other related policies. You are encouraged to fill out the Crisis Records Checklist provided at the back of this booklet for your convenience. Take notes. While events are fresh on your mind, begin recording a description of the crisis and how it is affecting you and your family. Keep track of key dates, doctor's visits, and the people associated with your crisis and recovery. Even recording the smallest matters can become important later, such as how you felt about missing an important family event or not being able to perform a favorite activity. These notes should be kept confidential and shared only with your attorney and/or spouse. Take pictures. In addition to your notes, photos related to your crisis can provide a better perspective - long after memories have faded. In the aftermath of a personal injury crisis, exercise caution with all public communications. Be especially careful about publishing or emailing updates about your medical condition (or that of your loved one or close friend). Also, refrain from describing specifics in public online forums such as Facebook, where your words could be reviewed and potentially misinterpreted. You should certainly notify your personal insurance agent about the event, but allow your attorney to handle any discussions with insurance companies - particularly any insurance company representing other parties involved in the injury or death related to your crisis. 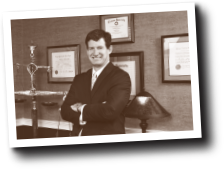 An attorney who truly cares for his clients, Mark Alexander is a specialist in the complex field of personal injury law. His experience as a trial lawyer spans over 20 years. He has a well-deserved reputation for honesty and integrity as a Crisis Navigator for his family of clients. In the aftermath of a personal or family tragedy involving serious injury or death, numerous legal details must be addressed. Decisions on insurance, medical bills, and other critical matters can become overwhelming – especially when your emotions or physical health are under duress. Stewart Melvin & Frost, an “uncommon practice” and one of Northeast Georgia’s oldest and largest law firms, has guided numerous clients through difficult crisis situations. The firm stands ready to put its many years of experience and expertise to work for you and your family through its legal team led by firm partner Mark Alexander. In the midst of crisis, the path to eventual recovery and a more normal life may seem impossible to even imagine. But rest assured – these uncharted waters may be new to you, but Mark and his legal team have vast experience helping countless victims of personal crisis successfully work their way through the judicial and insurance maze. This four-point Crisis Navigation Guide is designed as a basic checklist. Simply mouse over the points to the left for more information. Taking these first few steps will be critical to ensuring you don’t overlook key personal and financial priorities as you embark on the journey ahead. Along the way, remember to hold fast to your faith and never lose hope. And know that we’ll be there to help. and provide support and hope for better days ahead.